It’s no accident that a sense of belonging is listed as one of humanity’s basic needs. We’re a social species, interested in shared experiences and united in our love for stories. At a fundamental level, these stories form the basis of our societies and act as the thread that binds our cultures. And while this need has stood the test of time, there’s no avoiding the reality that digital media is changing the way our stories are told and delivered. Average people are now active in reporting news, and tools like Twitter have introduced a hard news immediacy that’s altering the day-to-day job of daily newspaper journalists. But what impact has digital media had on monthly newspapers? Monthly publications are not concerned with breaking news. Their longer publishing schedules allow for more in-depth reporting, longer stories and a community focus. For the modern day human, this is perhaps the closest we come to traditional community-building storytelling. For this week’s edition of the digital literacy series, I spoke to Warren Goulding, publisher and editor of the Chemainus Valley Courier, a monthly publication serving the communities in the Chemainus Valley area of Vancouver Island. Goulding has been in the newspaper business for 40 years, and started his career at the Toronto Telegram. I asked him for his opinion on the overarching impact digital media is having on newspapers, but also for insight into how it has impacted monthly publications like his own. 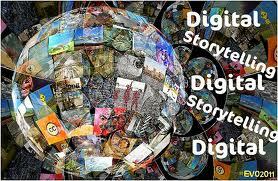 How do you believe digital media has impacted traditional media? Digital media is having an impact on circulation numbers and advertising revenues in varying degrees. Clearly the large metro papers are being affected. But I think there is a more complex influence occurring. Call it the fear of the unknown – perhaps it’s getting to know an enemy you don’t understand and feel you might have a chance to become friends with. Newspapers have struggled to understand what digital media is all about. Will it lead to the demise of traditional newspapers? Not likely. At least not in this generation or even the next. Will it change the way newspapers reach their market – both readers and advertisers? Of course, but should it be feared or embraced? What is seen as new; isn’t all that new. Lord Thomson was in the radio business before he became a newspaper magnate. Seems like he understood convergence before the term was coined. What do you feel are the long-term implications of the growing prevalence of digital media on traditional media, newspapers in particular? For large daily newspapers, it will be a matter of finding a way to work with and within the new media or die. The casualties along the way will be the journalists, journalism itself and the public that relies on these institutions to serve as watchdogs and educators. How have you had to adapt at the Chemainus Valley Courier to respond to the popularity of digital media? What does the Chemainus Valley Courier look like in the future? Like all newspapers we have bobbed along with our website, put a modest investment into it without really knowing why it matters. Our print edition is very popular and financially successful. If we opted to not participate in the digital media trend would it impact on our readership or advertising sales? Very unlikely in this market. But we will almost certainly find some time to see if we can develop a revenue stream for our website. Any thoughts or comments on the changing advertising model for newspapers? Sometimes what is old is new again. It’s about being relevant in a local environment. Some newspapers and even Shoppers found ways of zoning their publications to make advertising more affordable and effective for advertisers. This seems to be a model worth exploring for more papers. The massive million copy papers have priced themselves out of the game for small businesses who really want to reach a customer who lives within five or six blocks. That has left them to the large retailers who are finding other vehicles to promote their business, notably Facebook, Twitter et al. Small community newspapers continue to thrive in most cases and even community newspapers (mostly freebies) are finding success in large centres. As a general comment, I think the newspaper industry is still trying to decide whether that elephant in the room is a friendly one or whether it’s going to stomp on them. It’s too big to train, too heavy to move out of the way.